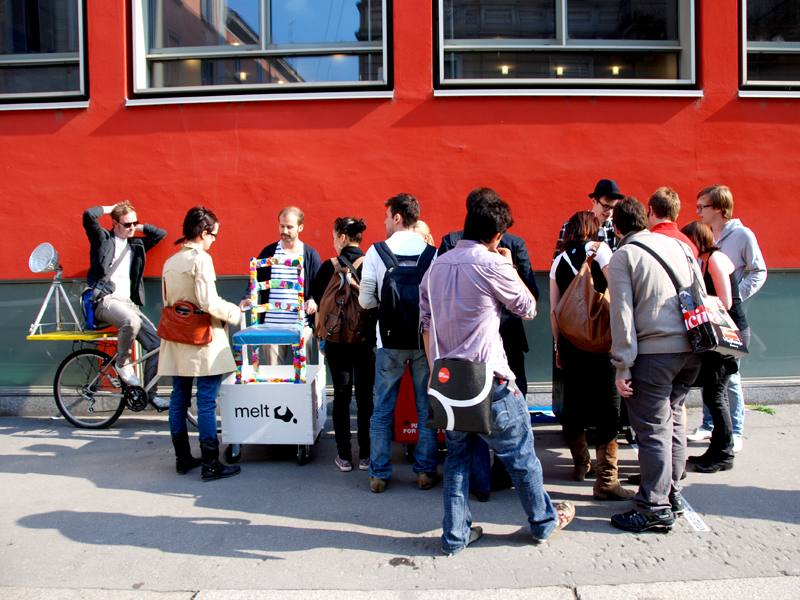 Exhibition on wheels is an portable exhibition made by 5 young designers. Their task is to introduce new products which they have been developing recently. The designers will display their products in special portable stands on wheels which will be traveling around the city of Milan during Salone del Mobile. They choose this fresh and innovative way of exhibiting to keep all extra costs to the minimum and the fun level to the maximum. In colaboration with Joana Pais, Sergio Studer and Hafsteinn Juliusson.